A graphic history of the city of Jerusalem presenting the development of a remarkable city, the focal point of Jewish, Christian and Muslim sentiment, and the capital of the State of Israel. 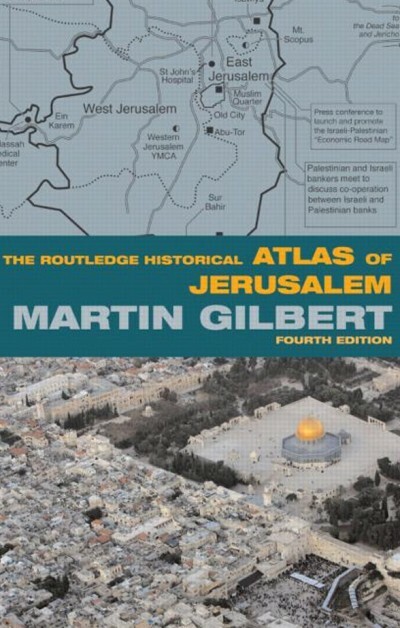 Sixty-nine maps track the city’s story from ancient times to the Israeli and Palestinian neighbourhoods of the present day, through biblical beginnings, imperial rule, growth and idealism, British mandate Jerusalem, divided Jerusalem, conflict and hope. Facing each map page are photograph and print illustrations of the period.